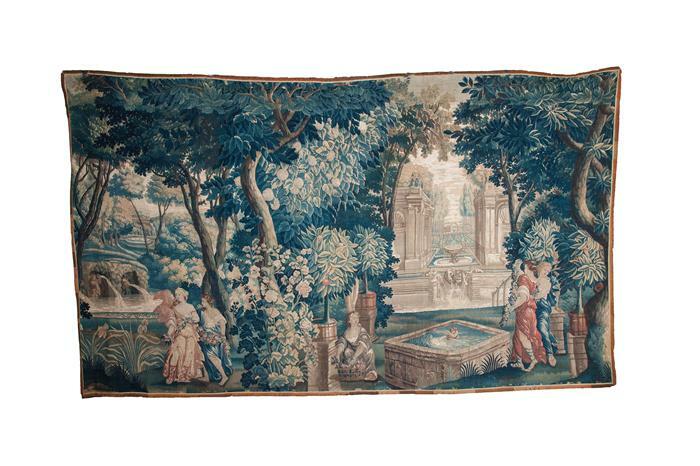 This fine tapestry has retained excellent colours and is basically in very good condition. It shows ladies bearing garlands of lowers in the sumptuous garden of a large chateau. The proportions (143 inches wide x 85 inches high) mean that it will fit in houses without very high ceilings which is not often the case with early tapestries. The price is £16750.